In order to publish an App under your own developer license, you will have to register to the App Store as a developer. Besides having an iOS developer account, it is necessary to have a Mac so you can publish your application on App Store. 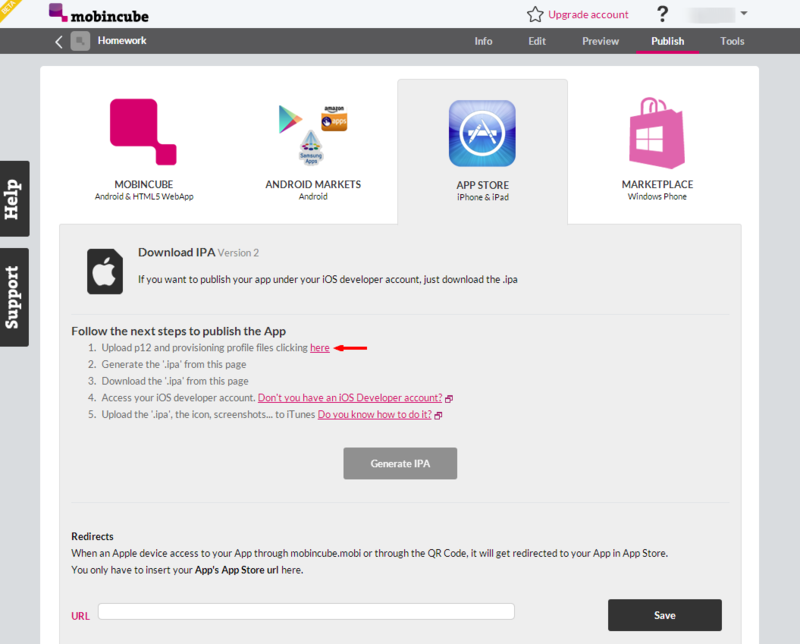 Before going for this, you need to have an App ID , the Bundle ID and a Distribution Certificate. Now all you have to do is click on "Generate IPA" and once it's ready, click on "Download IPA". Now you are ready to upload it to iTunes Connect. Just follow this article. In order to upload it you have to have registered your App on iTunes Connect, if you have not done this, follow these instructions.